Six imaginative and quarrelsome siblings attempt to aid their widower father and recover the fortunes of their family. Their various schemes include digging for treasure, selling poetry, marrying a princess, kidnapping (the kid next door), publishing a newspaper, inventing a cure for something, peddling sherry on commission, and visiting a money-lender. At each turn they encounter sympathetic adults, with the occasional scold, and in the end win over a fabulously wealthy relative to their cause. E. Nesbit was an incredibly influential children’s author at the turn of the last century, and this was her first novel. While her later magic-themed books may hold greater interest for today’s readers, this one is rambunctious and funny enough to entertain. 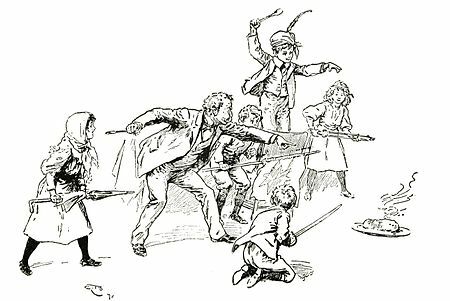 On the plus side – The constant quarrels, alliances and reconciliations of a large mob of siblings is captured perfectly, as Dora, Oswald, Dicky, Alice, Noel and Horace Octavius (H.O.) Bastable try desperately to work together for a common cause. As well, I enjoyed the debates over whether a course of action is technically “good” or not, as the eldest sister’s conscience vies against the more criminal tendencies of the younger children. 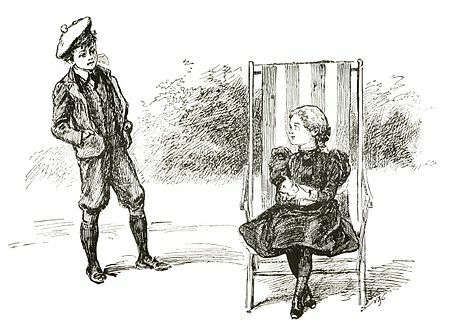 This vision of childhood was actually new and fresh at the time, as Nesbit was one of the few authors to depict children with all their faults and quirks – children who don’t always do what they’re told, but who are still good at heart, and well-meaning. The story is told from a child’s point of view, and is amusingly natural in tone. The narrator is the second child Oswald, and though he tries to keep his identity secret, he is so fond of heaping praise on himself that the reader can easily deduce who is speaking. 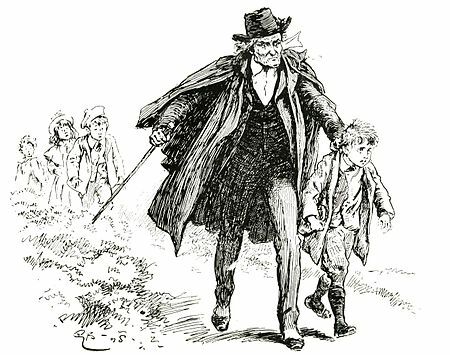 Typical of the era in which it was written, there’s also a brief but unflattering stereotype of a Jewish moneylender, with a “hooky nose – like a falcon”, who is nowhere near as kindhearted as the other adults the Bastables encounter. Finally the wealthy-uncle ending is a bit too contrived, but there’s still enough humorous banter and ill-conceived schemes to make this a worthwhile and entertaining read (or read-aloud). 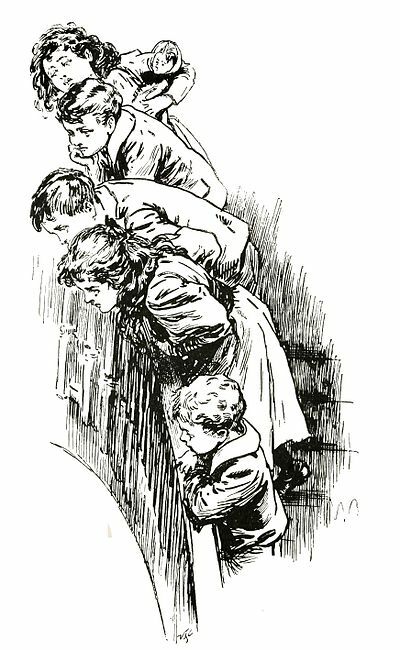 Edith Nesbit’s book, The Railway Children, is also a great one. Yes, that one’s on my list to read too!